In the midst of dramatic events in Ukraine our Shabbat in Odessa started in Litvak Synagogue in an atmosphere of peace and joy. 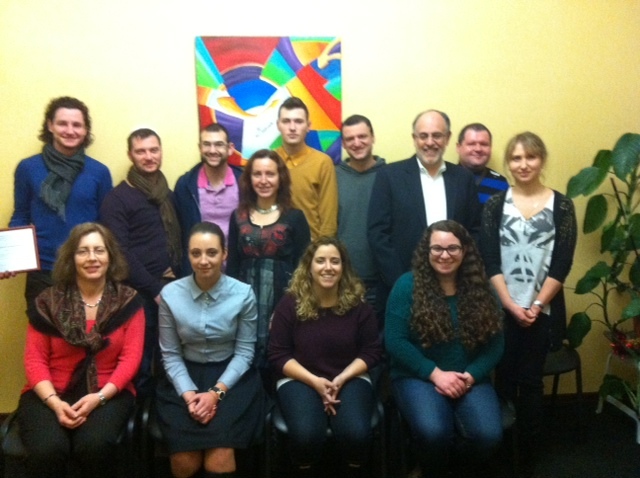 Our group attended services and then was invited to celebrate Shabbat at Odessa Platinum Youth Club. It was amazing to see many young people regaining their Jewish identity after more then 70 years of oppression of Judaism in the Soviet Union. 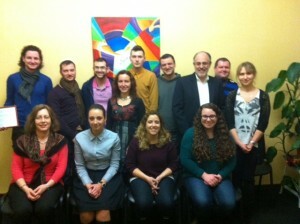 During this evening we could feel that Jewish life in Odessa is rejuvenating through energy of these young people. On Saturday afternoon we had a “farewell” lunch. During our last meal together we shared our impressions from the trip, acknowledging that incredible work of our coordinators (Rise, Dasha, Viktor), who managed to make our trip smooth in spite of disturbing events that shook Ukraine and the whole world. Our trip concluded at the office of Odessa Hillel where we discussed issues of Jewish identity, features of the Ukrainian Hillel operational model and special relationships between Jewish community in Odessa and non-Jews. It was very interesting to learn why Jews in Odessa rarely encounter anti-Semitism and how it is different from the other cities of the Ukraine.